Technically Wednesday is fiction day. But since the header there says “The Prose Garden,” I’m going to look at a different style of prose today that you might not be familiar with. Narrative nonfiction. Narrative nonfiction is actually known by a number of names including creative nonfiction, poetic nonfiction, lyric essay, and memoir. Even creatively told biography can fall under this umbrella. After I wrote my narrative nonfiction in 2009, I actually bothered to study what it was. In general, narrative nonfiction takes the best of fiction and nonfiction and fuses them together. It uses literary elements to tell a true story, and it can do so using a variety of structures. So rather than bore you with a long treatise on this subject, allow me to introduce you to some of my favorites and explain the variations between them. These two are probably the best known in the Christian arena. Blue Like Jazz sold millions of copies and spent a long time on the New York Times Bestseller List. Miller uses a creative and conversational style to discuss issues of faith. 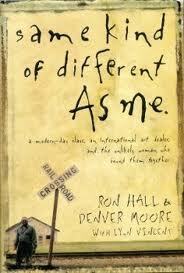 He weaves in random stories from his life, not so much to tell about himself, but to illustrate his points. This book is at once funny and poignant. The style somehow manages to be both casual and poetic. Clearly it struck a chord (pun intended) with the American reading public. 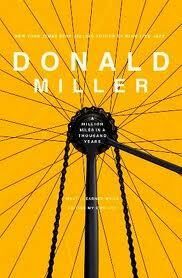 A Million Miles in a Thousand Years is not as well known, but I enjoyed it even better. In it, Donald shares his experience of writing his life into a screenplay. He examines it according to the elements of good story telling. This causes him to realize that he wants to live a better story—a better life, and thereby transforms him. Both of these are written in my very favorite lyric essay style. Steven weaves personal stories with essays, reflection, poetry, and even short story. Each chapter focuses on a spiritual theme in a free flowing and highly engaging manner. Like Donald Miller, Steven James’s writing is incredibly beautiful, yet at the same time casual and funny. Story takes a fresh look at the narrative of the Bible, retelling God’s story and our place in it. 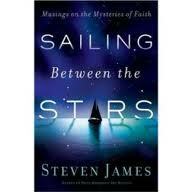 Sailing Between the Stars deals with the mysteries of our faith. With the harder issues and the perceived paradoxes. This one is my short list of all time favorite books. And it is also closest in style to my narrative nonfiction. I think the genius of Anne’s writing lies primarily in her exquisite transparency. Similar to the other books mentioned, her writing is gorgeous. 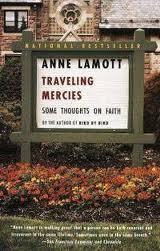 She also weaves stories from her life with issues of faith. Hers is told in a more chronological fashion than many of the others mentioned here. If you come from a conservative background, you will probably be shocked by Anne’s level of honesty and her crazy sin-ridden past. This book has been a huge hit in the secular market, although it’s all about faith and Anne’s discovery of Jesus as her lord. She even shares her actual salvation story. Clearly, she did something very right in this book. And again, Anne is laugh out loud funny. Mary’s book is probably the darkest and most serious on the list, but quite possibly the most beautiful. In a poetic, stream of conscious sort of way, Mary shares about her broken and abusive childhood. Yet hope shines through every story. Her concept of “thin places” is the moments when our lives intersect with the divine. When the veil between the temporal and the spiritual grows thin. You won’t be laughing with this one, but you will be incredibly moved. And her gorgeous descriptions and poetry instill the book with a sense of wonder and triumph despite her struggles. This one is probably closest to basic nonfiction in format. But with an author like Lisa Samson involved, you can’t get away from the wonderful literary elements that define narrative nonfiction. Full of humor, journal entries, photo’s, and sassy direct address to the reader, it’s a moving story of her trip to Africa and how she learned to step beyond her complacent American Christian existence. With its great stories and wonderful language, this book is sure to inspire you. Similar to Blue Like Jazz, this is another best-seller published by Thomas Nelson. But unlike the others listed here, it is a biography written in the style of a novel with a full story structure and all the elements you would expect from fiction. It weaves the lives of two very different individuals, one a homeless man who grew up as a modern day slave and the other a rich art dealer, to stunning effect. I plan to review this one in detail next Saturday. Be sure to come back to learn more about it. So that’s a quick glance into the world of narrative nonfiction. I hope I’ve peaked your interest. Have you read any of these books? Have you read any other narrative nonfiction? Which sounds the most appealing to you? I really feel I have a better understanding of the genre. Congratulations Dina. The only one I've read from this list is yours and I can't wait to see where it goes! I'm so excited for all the blessings coming in regards to your efforts. Congrats, Dina. That's terrific news. Thanks for explaining narrative fiction. I wondered where Mary's book fit in the scheme of things. I appreciate the lesson. Thanks everyone. And I highly recommend all the books on this list. Congratulations, Dina! Celebrating with you! Thanks for all of the fabulous book recommendations. Dina, super congratulations on the new contract. I love the cover! These books all sound so great. I'm looking forward to reading your review. I have a couple crit group members who write creative nonfiction, but I haven't read any of the books you recommended. I've been considering reading Thin Places--and of course, yours! I am so humbled to be included in this list of amazing books! Barb, that's awesome. I had to go out and learn to do this with no critique people. Although I did have some writers who beta read it. Mary, your book really touched me. I look forward to reading your fiction soon too. I've heard such great things about it. oops, I'm just finally getting online again in a more reliable way. Sorry for the delay. I loved this style that was both 'sit and have conversation' and a flight of beauty driven by your word choices. I think the most amazing thing is how you wrote it in such a short amount of time and I think that lends itself to transparency. You weren't guarding yourself. I can't recall anything now that I'd change but I trust you and your editor have polished it well. Thanks, Deb. I needed that encouragement right now. As I'm working through finalizing things, I have some people in my life trying to get me to be more guarded and less transparent. I'm trying to use some wisdom but still keep what was special about the book.